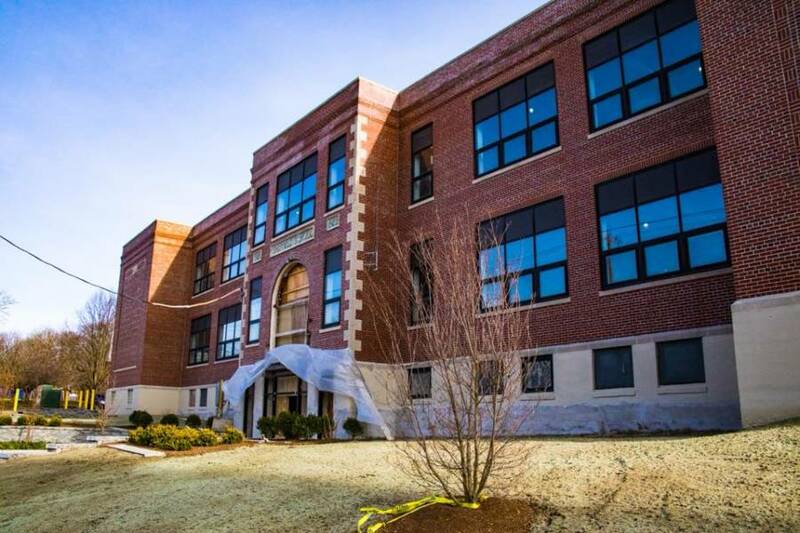 Construction of Innovate Newport, a 34,000 square foot, three-story office space located on Broadway in Newport, RI, is nearing completion. 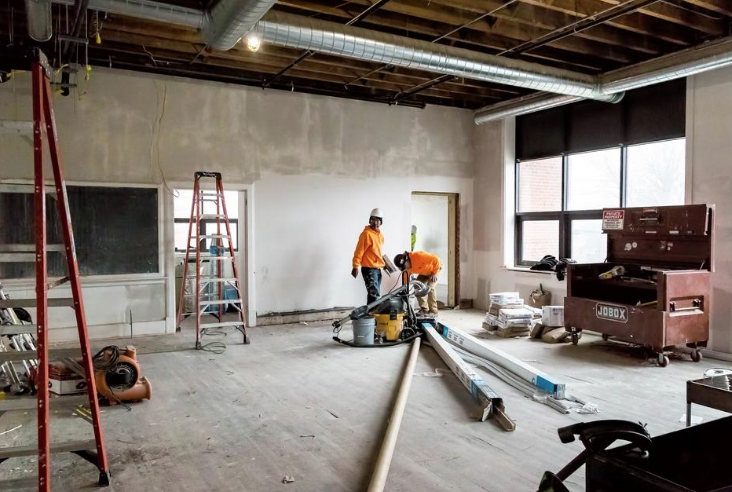 Formerly the old Sheffield Elementary School, the building is being repurposed and transformed to provide high-tech office suites, co-work space, shared conference and huddle rooms, a café, and a large event space with the latest technology available. The $8 million project will create newly developed office space producing opportunities for both new and established companies. Innovate Newport provides a high-quality collaborative environment and is targeted towards existing companies in the marine sciences and underwater technology sectors. The co-work space is available to entrepreneurs and start-ups in all industry sectors. The Innovate Newport project is a partnership between the City of Newport, Newport County Chamber of Commerce, and the Economic Development Foundation of Rhode Island (EDFRI). EDFRI is the City’s preferred developer for the project. The project design team includes Northeast Collaborative Architects overseeing the overall project and exterior design, Studio TROIKA providing interior design services, and DiPrete Engineering providing parking and stormwater improvements as well as landscape design. The project is being constructed by Pezzuco Construction. 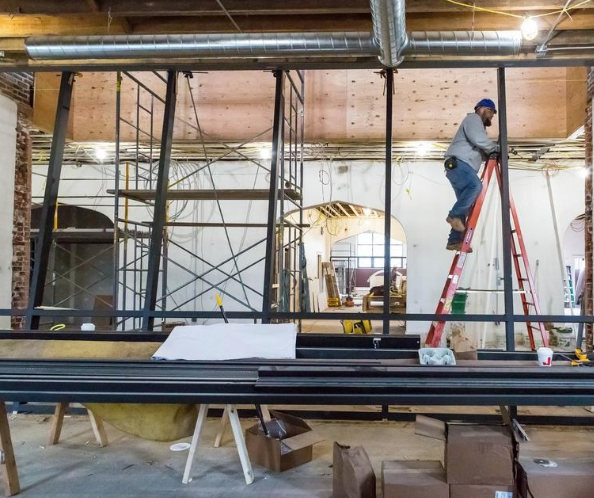 The co-work and office spaces are located on the first and second floors with a complete build-out of the ground floor on hold for possible future development. Utility rooms, equipment, and a mailroom area for accepting deliveries are also on the ground floor along with the main entrance and wheelchair accessibility to a new elevator. In addition to the City of Newport’s investment, the project is being funded in part by the State of Rhode Island Commerce Corporation, United States Department of Commerce Economic Development Corporation, and Van Beuren Charitable Foundation. Innovate Newport is scheduled to open in early March.